Retired British aeronautical engineer Owen Maclaren was inspired by the birth of his granddaughter in 1965 when he saw his daughter struggling with her hefty pram. Using tubular aluminum for a lightweight frame, Maclaren finished the first prototype that weighed only six pounds. And the highlight was the ability to fold it with one hand, much like an umbrella, hence the birth of the modern-day umbrella stroller. 5.2 How is the Globetrotter different from the Volo? 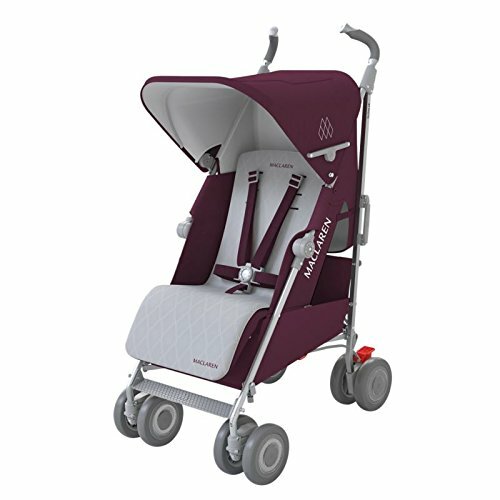 Maclaren’s design is still popular today with the compact fold, attractive fabric designs and easy transport. His innovative idea defined the Maclaren stroller as a Phaedon Design Classic, a distinctive honor. 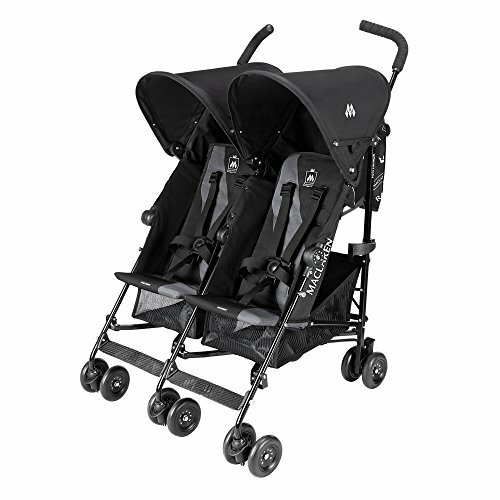 Today Maclaren is the leader in lightweight, compact, easily maneuverable strollers. 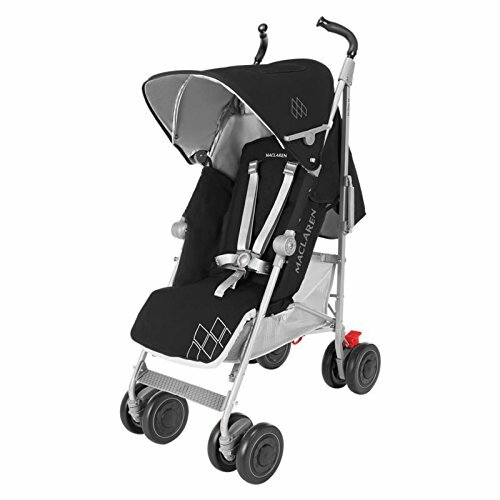 Available as both single and double strollers, some in the Maclaren line accept a car seat, to transform into a light weight travel system. All models can fit through standard doorways and come with a carrying strap or handle for easy transport. Many are acceptable for newborn babies and all models accommodate children up to 55 pounds. The video below goes over all the top quality standard features in all Maclaren strollers. This little stroller weighs only 7½ pounds, just a tad more than the original, which came in at 6 pounds. And yet the Mark II holds your child up to 55 pounds! That a stroller can weigh so little hand hold so much is astounding! The Mark II still has features you expect, like a big sun canopy with SPF 50 and a flip-out visor for extra protection. A ventilated mesh peek a boo window keeps the air flowing while you check on your child. The five-point safety harness secures baby to the seat. Telescoping handles adjust to the height just right for you, and you even get a micro-basket to put a couple small necessities in! The seat does not recline, so children 6 months and older are recommended. Reviews so far are coming in at a solid 4 stars. Parents are in love with the convenience: the easy fold, carrying strap, and feather light weight. It is a stroller for getting around the city and to take traveling. Take a look at this video presentation on the Maclaren Mark II, and then read my exclusive review! Some parents want only the basics and there is something beautiful about simple functionality. Couple that with the fact that there is no sacrifice in quality or comfort when it comes to a Maclaren Volo umbrella stroller. The Volo weighs only 9.8 pounds and is one step up in features from the Mark II in the Maclaren line. Stylish and highly functional, the Volo features a one-hand fold and carrying strap making this one of the most portable, yet sturdy product on the market today. I like the wide variety of attractive color schemes and how popular it is with families who travel. The Volo has gotten some mixed reviews, but it still averages out to pretty high ratings with consumers. 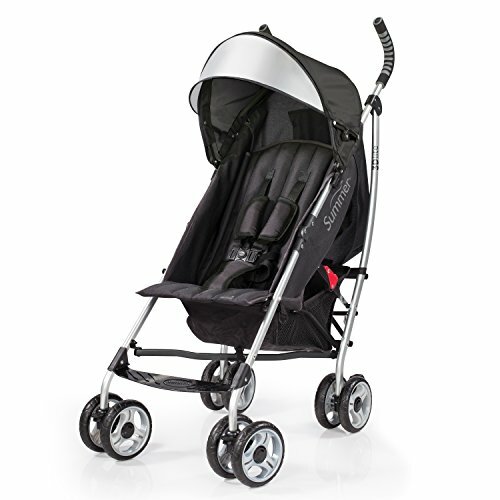 You’ll be interested to know what the kudos and complaints are with this stroller when you read my Maclaren Volo review. Basic weight of 10.6lb; Ideal for children 6 months and up to 33lb. The Globetrotter has features that puts it in between the basic Volo and the Triumph. 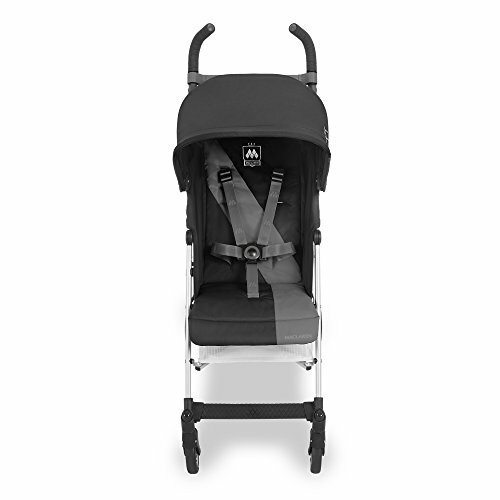 The Globetrotter is for infants 6 months and older and holds up to 55 pounds. It weighs only 10½ pounds; a little more than the Volo because of some extra features. How is the Globetrotter different from the Volo? The Volo does not have a reclining seat, but the Globetrotter does. But the seat does not recline flat, and that is why you’d use it once your baby is over six months old. You’ll also appreciate the large sun canopy, convenient shoulder strap and linked parking brakes. I’ve always loved the sturdy buckle on Maclaren strollers, and your child will not escape that one. And underseat basket, easy fold and an included rain cover rounds out the most popular features. Oh, and choose from 5 different color schemes! Reviews are starting to trickle in and so far consumers are rating this stroller with good marks. A general consensus is either stick with the Volo or upgrade to the Triumph; but you’ll want to see for yourself before deciding by clicking the link below the photo. 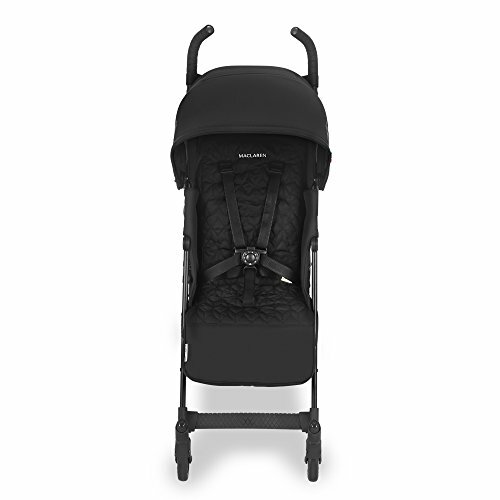 Basic weight of 10.8lb; Ideal for children 6 months and up to 55lb. At 11 pounds, the Maclaren Triumph has a little more substance than the Volo and Globetrotter. 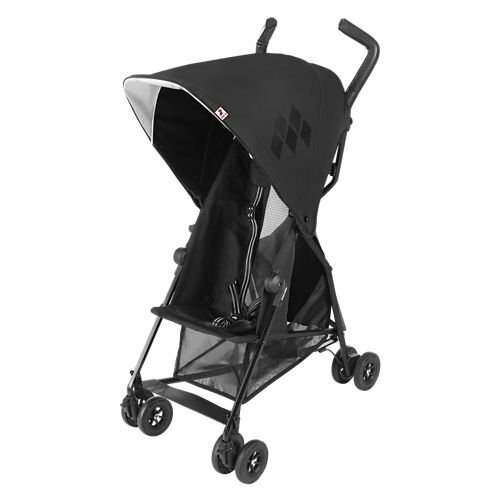 This stroller has a two-position reclining seat and reflective accents for night time safety. The recline feature means that babies as young as three months old can ride, instead of having to wait until six months. The Triumph also received a positive rating by Consumer Reports as well as from Triumph owners for quality and durability. I personally love the vibrant colors and some recent upgrades. Parents give the Triumph rave reviews. You’re going to want to find out more about this stroller that has gotten higher ratings for several reasons. Explore what this product has to offer you in the Maclaren Triumph review. For active parents on the go, the Maclaren Quest provides a lightweight solution, yet provides the comfort your child needs such as adjustable leg support. These extra features are a notch up from the Triumph, and parents feel it is well worth the price for these comforts for their child. 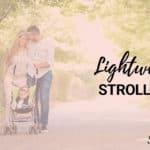 This is the stroller for you if you want a light weight model that does not sacrifice features. Previous Quest models could not accommodate a newborn because of the recline angle. However, that’s now changed with 2012 going forward. If you buy the current version (as would be in the link above), the seat reclines near flat, and now your newborn can ride. It also has several more features such as a viewing window in the sun canopy and a leg extender for younger babies. 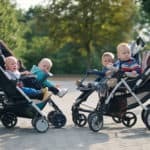 Discover the other upgrades for this year as well as detailed differences between this stroller and the Triumph in my exclusive Stroller Envy Maclaren Quest review. You’ll understand why moms give this product a high rating. 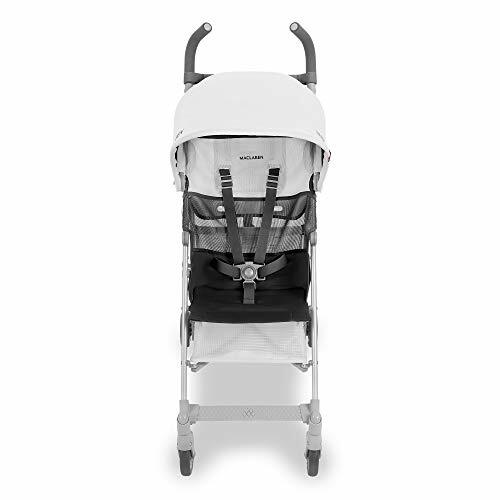 Sophisticated and sleek design for discerning parents, the Techno XT is one of the Maclaren strollers that is suitable for babies from birth since it has a flat-recline feature and leg extender for full support. 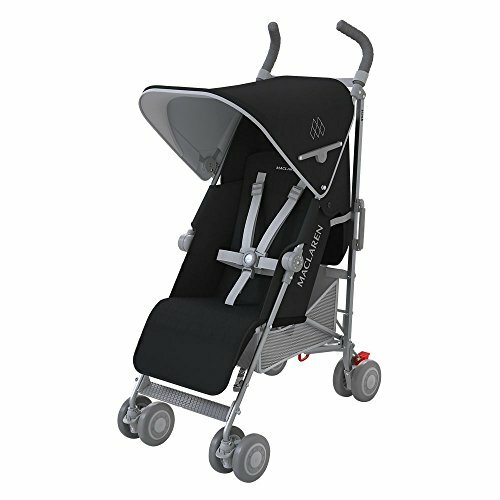 The extendable handles are comfortable for the tallest adults, making strolling a pleasure for parents of all heights. Going on vacation to a theme park like Disney Land? The Techno XT is quite popular for family holidays. When you’re out you’re likely to get lots of compliments, because there are many reviews out there that mention the looks and positive comments mothers receive. Lightweight, easy-to-fold and stylish are the words customers use to describe the Techno XT. Parents give this item high praise. How does it measure up with newborns? Read the Maclaren Techno XT review to find out. 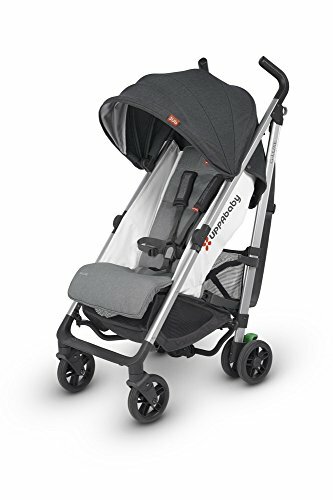 The Maclaren Techno XLR is an inch and a half wider than the XT model to accommodate a car seat and turn it into a travel system. Bigger kids up to 64 pounds fit more comfortably in this sturdy, yet lightweight full-featured stroller. It is popular for taking on vacations when your sightseeing day is long and your bigger kid can have a rest. 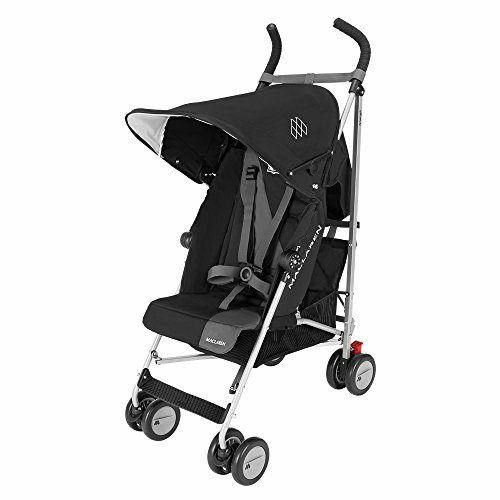 The Techno XLR is the creme de la creme in all the Maclaren line and one of the best appointed models in the umbrella stroller category. Overall the latest version of the Techno XLR is getting a lot of praise, which is a big improvement from years past. To see if the extra features are worth the bump up in the price tag, read the Maclaren Techno XLR review as your helpful guide. This is one of two double Maclaren strollers. The modern, no-fuss style of the side-by-side Maclaren Twin Triumph weighs only 22 pounds, yet can carry two children up to 110 pounds combined weight. The Twin Triumph has a few recent upgrades such as a sporty racing stripe down each seat. Just like its single part, this double stroller is great for travel and it is a top pick by Consumer Reports in the double side-by-side category. Find out why happy parents give the Twin Triumph such high praise. 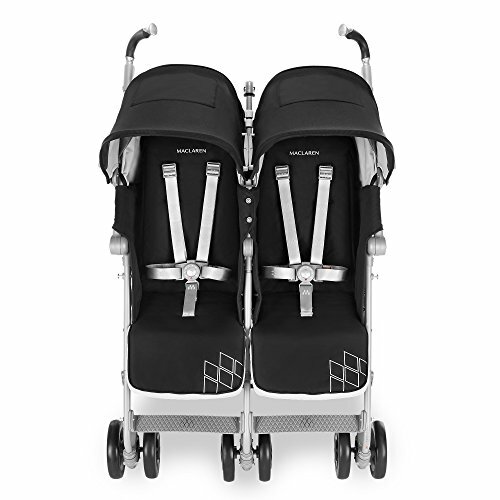 The other double Maclaren stroller, the Twin Techno, has more padding and features than the Twin Triumph. It is sturdy enough for two kids plus shopping bags AND you can fit through the front door. Lightweight considering it’s amenities, this Maclaren double stroller weighs only 25.7 pounds, rather light for a double. Like the single Techno, this twin model is suitable for young babies since it has the adjustable leg supports and reclining seats. Choose from black or denim color schemes. This is one of the better double umbrella strollers popular with families on the go – whether on vacations or for running errands. 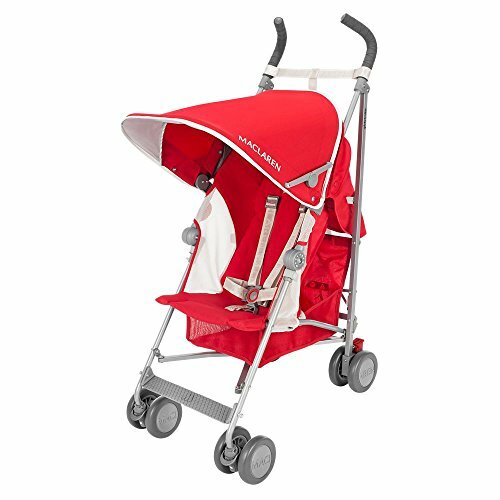 Why does this stroller have such a great reputation with customers? You’ll have to read the review to find out!